New York is trying to justify the trading of their best player. The Starters discuss. Trey Burke, Tim Hardaway Jr., Courtney Lee, and Kristaps Porzingis address the media and discuss being traded to the Mavericks. In 2017, Dirk Nowitzki and Kristaps Porzingis sat down to talk about their similar styles of play and how they are both changing the game for NBA big men. The Inside crew react to the news of Kristaps Porzingis being traded to Dallas in a seven-player deal. The GameTime crew reacts to Kristaps Porzingis being traded to the Dallas Mavericks as part of a seven-player deal. Do the Knicks have a plan? What will New York do with their newfound cap space? Is this a fleecing? 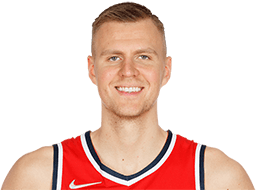 The New York Daily News; Stefan Bondy joins GameTime to speak on the news that Kristaps Porzingis will be sent to Dallas in a blockbuster trade. David Griffin joins the GameTime to discuss Thursday's blockbuster trade sending Kristaps Porzingis to Dallas. Jared Greenberg and Sekou Smith discuss the trade between Mavericks and Knicks that will send Kristaps Porzingis, Tim Hardaway Jr. and Courtney Lee to Dallas in exchange for DeAndre Jordan Wes Matthews and Dennis Smith Jr. to New York. Drew Gooden and Greg Anthony discuss what are the expectations are for the Knicks. Check out the New York Knicks Top 10 plays from the 2017-18 NBA season. At #82 on our #Fantasy100 is Kristaps Porzingis! Porzingis’ season was cut short due to injury but still put up solid numbers – 1912.7 fantasy points! Where should you draft him next season – FNTSY Sports Network’s Frank Stampfl is here to break it down! The Inside the NBA debate on whether Bam Adebayo, Giannis Antetokounmpo, Marquese Chriss, Anthony Davis, Kristaps Porzingis should win the Block of the Year NBA Award. Check out the top 10 plays that made the Knicks' Kristaps Porzingis an All-Star. Buckle up for Tuesday's top ten plays. Giannis Antetkounmpo finishes with 23 points, 11 rebounds and six assists as he leads the Bucks to a 103-89 victory over the Knicks. Kristaps Porzingis goes in for the slam and would come down awkwardly on his left knee, suffering a leg injury. Porzingis would leave the game. Kristaps Porzingis blocks Eric Bledsoe's jump shot at the end of the shot clock, forcing a shot clock violation. Giannis Antetokounmpo drives on Kristaps Porzingis, but Porzingis sticks with him and blocks his layup at the rim. Putting together an all-around performance, your Fantasy Player of the Night is Kristaps Porzingis! He finished with 22 PTS, 8 REB, 5 BLK & 4 STL for 56.6 NBA Fantasy points. KP continues to be an elite rim protector as he currently leads the NBA with 2.3 Blocks Per Game!